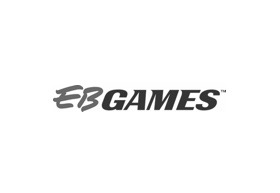 EB Games is part of the GameStop family along with several other speciality retail brands. The primary aim of GameStop is to make technology affordable and accessible to all and they do this admirably by bringing in some innovative ideas in their marketing. The Buy-Sell-Trade facility is one such option that gamers simply love to explore at EB Games, the international electronics retailer. Just trade in your old games and systems and you can get some really attractive discounts on the new games that you are looking for. In Chadstone, you will find the EB Games store at Level B, accessible from the Target car park. EB Games, originally known as Electronics Boutique, started out as a U.S.-based retail store for computer and video games. It was in 1997 that Electronics Boutique started its operations in Australia and the brand took a surprisingly short time to make it to the number one position in the video game speciality retail arena. In fact, EB Games is perhaps one of the only brands in this niche that has an impressive nationwide presence and it occupies a prestigious place as Australia’s largest video game retailer. With a truly impressive range of new and pre-owned video games, consoles and computers, EB Games at Chadstone is definitely paradise on earth for avid gamers. Not only do they have a comprehensive collection of all the best games for computers, Play Station, Nintendo Wii and XBOX at their store, but also helpful and knowledgeable staff to ensure that buyers can locate the right game that matches their needs. For those who are new to gaming, the EB Games package deals that combine world-class quality consoles with matched games are an option that they should not miss. The great prices on these deals make them one of the most attractive offerings that EB Games has to offer.